Burger joint with all the fixings! 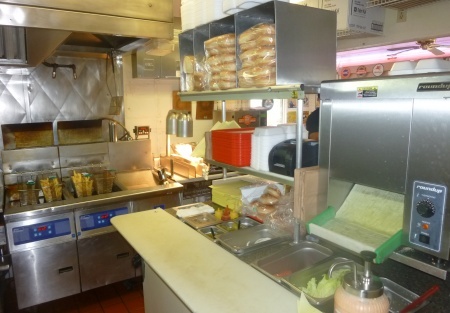 Location has drive thru and is located on the main road through town. Local favorite. Established and thriving since 2002. Sales are approximately 40k per month. Has an old time theme about the place and the crowds love it. Kitchen is well designed for easy movement and labor efficiencies. Equipment is in great shape and very well maintained. Current lease term is up soon. Rent is 2795 per month and landlord is ready to negotiate a new lease and terms. This is one of three locations with similar set ups, if you are looking for multiple units they are available both as a package or individually. Listing brought to you by Stone Path Brokerage Services DBA Selling restaurants.